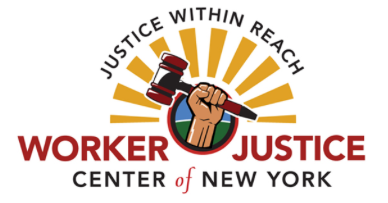 Thank you for agreeing to complete this brief survey for Worker Justice Center of New York (WJCNY). Your responses will be anonymous, and will greatly assist the organization in its planning efforts. The survey should take you approximately 8-10 minutes. Please note that your participation is important, regardless of your level of knowledge of the organization. Si desea realizar la encuesta en español, haga clic aquí. This survey was designed and is being administered by Causewave Community Partners (formerly The Advertising Council of Rochester) on behalf of Worker Justice Center of New York. Causewave is a nonprofit organization that helps causes and coalitions grow their impact in the areas of fundraising, marketing, strategic planning, board development and more. To learn more, visit www.causewave.org.